Hammonds, Kit, 2013, Book, The Nordic Model Publish And Be Damned. In 2012, Hammonds was invited by Index, The Swedish Contemporary Art Foundation, to research the current state of artist-led publishing in the Nordic region. This invitation was owing to his specialist knowledge of artist and designer-led publishing acquired through Publish and be Damned, a project he co-founded in 2004. Publish and Be Damned (PABD) comprises a range of activities, including an annual fair at the Institute of Contemporary Art in London, international exhibitions, workshops and publications. The Nordic Model set out to map and assess artist-led publishing in the diverse and distinct cultural settings of Sweden, Norway, Finland, Denmark, Iceland and Greenland, where distribution of artistic texts is a particular challenge. Hammonds initially interviewed key publishers to establish the research question of the project. Others from throughout the region were then invited to a Stockholm convention (2012), organised by Hammonds, to give presentations, performances, seminars, and screenings, to lead workshops and present their output. 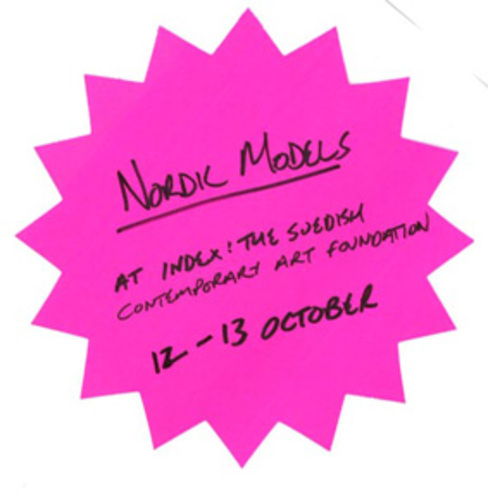 The initial proposal secured additional funding from the Nordic Council of Ministers’ Nordic Culture Fund (2012). The Nordic Model set out the findings of Hammonds’s original research and featured a critical essay by him as well as an index of independent publishers active in the region. This was the first book of its kind. In his essay, Hammonds set these publishing practices within the intellectual framework of 'the Nordic model', a term employed by political economists for interpreting the social democracies of the region. Hammonds was invited to continue his research into regional art publishing practices as Curator-in-Residency at the Taipei Contemporary Art Center, summer 2013. The first outcome of this new phase of his research was ‘PABD at the Heart of Asia’, a conference that he organised for publishers in South East Asia (2013).